ESalon, online at eSalon.com, specializes in helping you achieve expert hair coloring at home. ESalon sells expert hair coloring kits in a variety of colors including various shades of blonde, dark brown, and medium brown. At eSalon, you can set up a color profile and watch videos that explain how to color your roots, color your ends, and properly rinse your hair to give it the best shine possible. There is also a coloring guide available at eSalon. RetailSteal.com has the best eSalon coupon codes, eSalon discounts, eSalon coupons, and eSalon promo codes. Shipping and handling rates at eSalon depend on the pricing of your purchase and your shipping destination. See website for full details. Exclusions may apply. 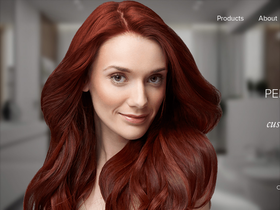 With this exclusive RetailSteal coupon code, take 20% off your online order at eSalon. Click link to save. Get a 50% off trial offer at eSalon.com. Click link for trial. At eSalon.com, create a hair color profile. Click link to find out how. At eSalon.com, get rid of gray hair. Click link to purchase. Watch free how-to videos at eSalon.com. Click link to watch.